Roller shutters - the best modern solution for protection from the sun and prying eyes as well as of breaking and entering. 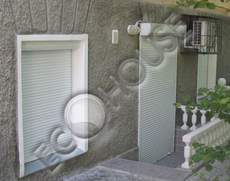 In contrast with gratings, roller shutters in a raised position are not visible in the window opening and do not close the light from the street. 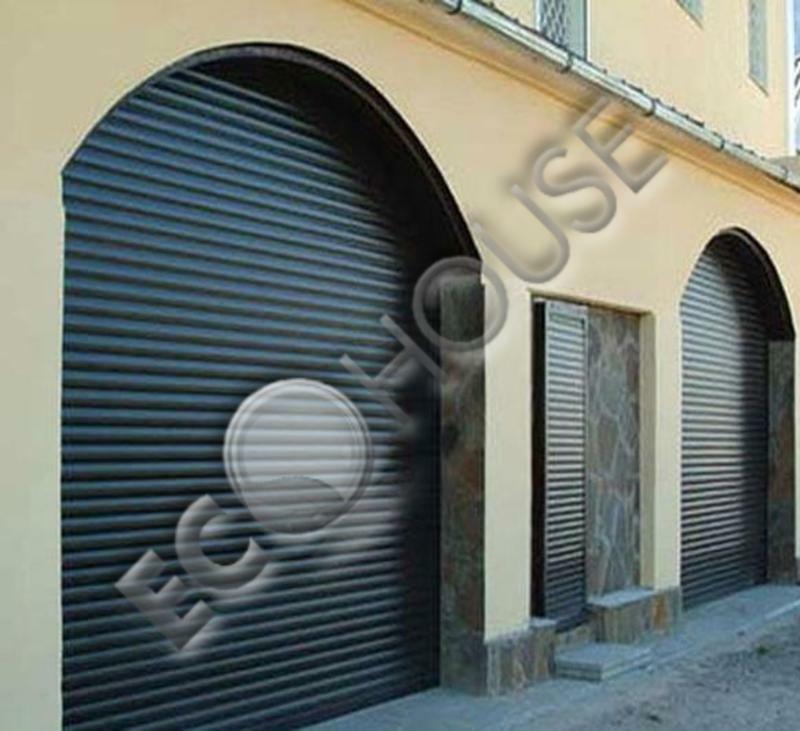 Roller shutters, collapsing into a roll are reliable solution for protection of windows, doors, balconies, garages, storefronts and shops. 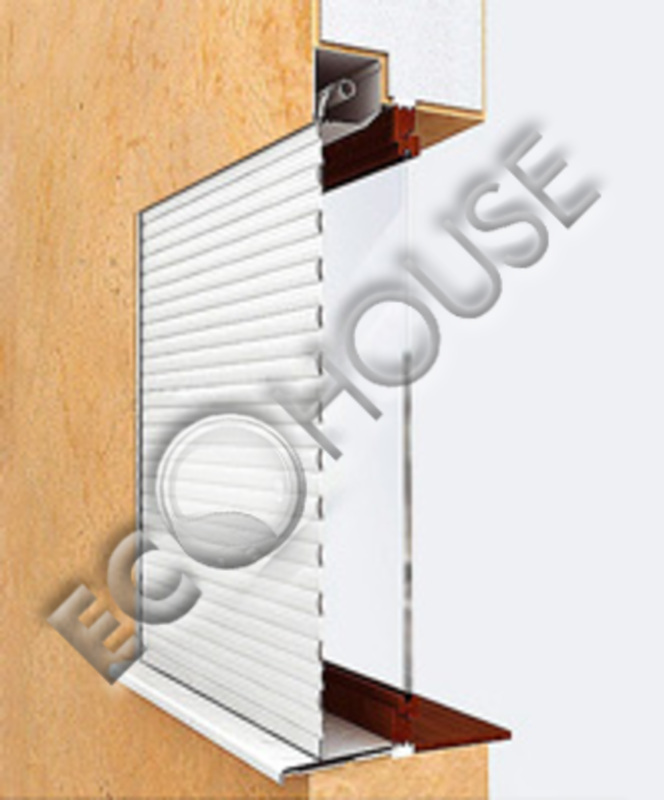 In the rolled condition shutters are placed in the aluminum box which fits harmoniously into the architecture of the object or in a particular case can be completely hidden inside the wall. 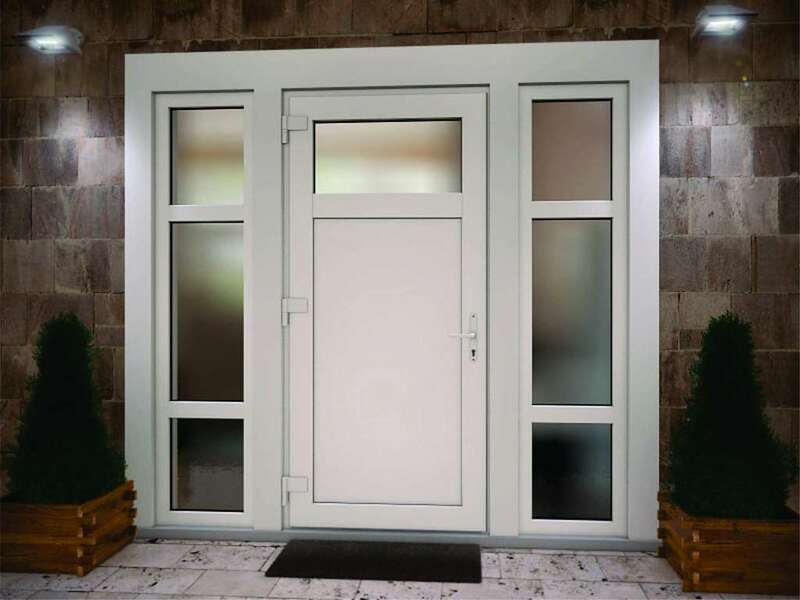 For the protection of home strong walls and secure doors are very important windows need to be protected very carefully. Shutters were created especially for these purposes. 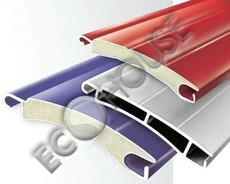 They successfully combine quality, reliability and ease of use. And most importantly shutters will grant you security. Shutters have a respectable appearance and undoubtedly will decorate the facade of the store, the interior of the office or holiday home and will fit into any architectural design. 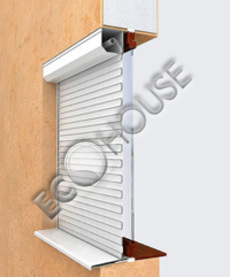 Roller shuttesr manufactured by "Eco house" meet all the requirements! The quality of profiles and components for roller shutters of our company corresponds to the best European models at a very reasonable price. Profile. 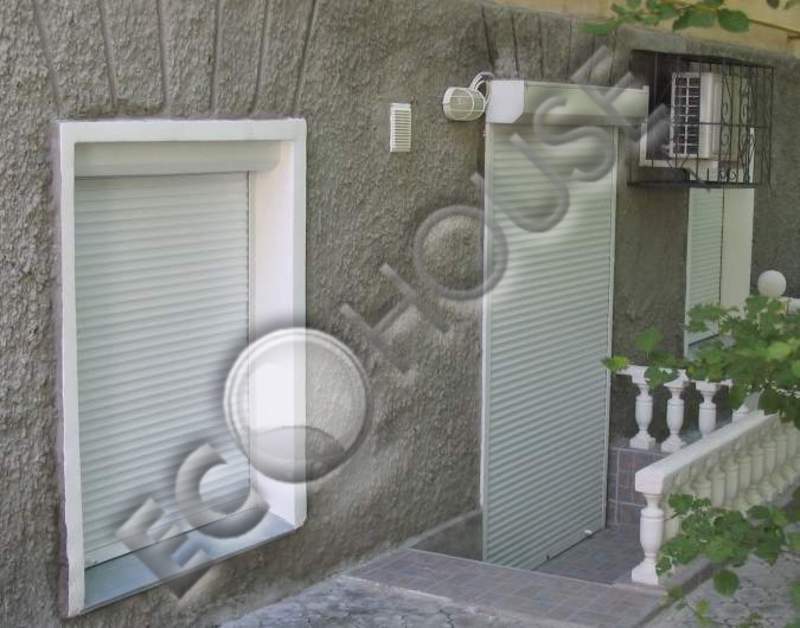 Shutters are rolled canvas consisting of aluminum profiles. 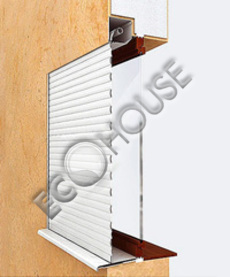 Depending on shutters features, profiles may have different internal structure. Guides. 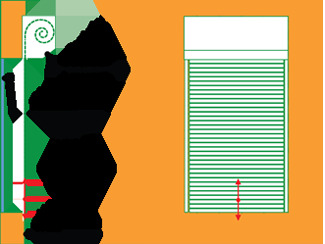 This component of the roller shutter consists of two vertical strips on which canvas move. Depending on the selected profile we chosse matching guides. The cost of this element of shutters also depends on the complexity of the design. Mechanism. 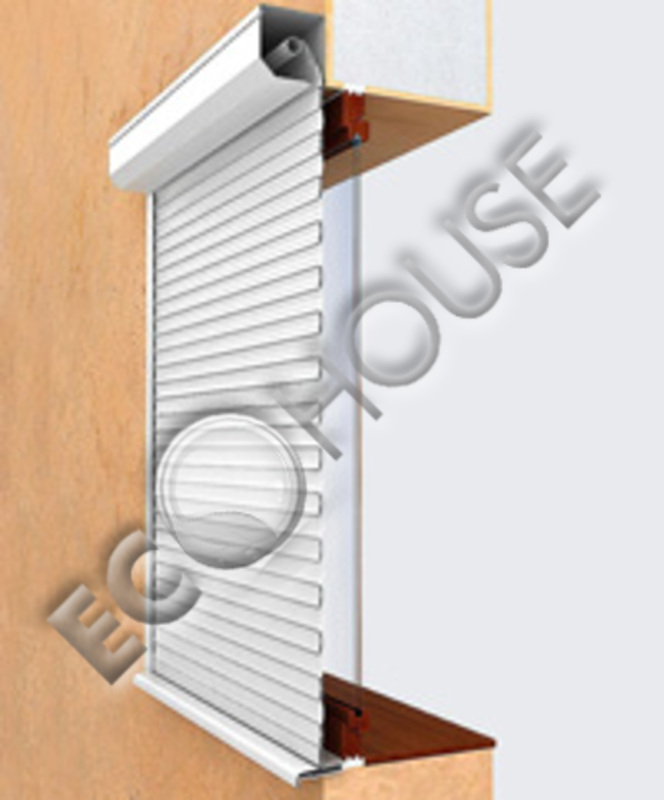 There are various types of drive mechanisms which are used to raise or lower the shutters. The drive mechanism is usually placed in the box, it can be mechanical, automatic or combined. Shutters with manual (or mechanical) drive usually are cheaper than those with automatic one. Driving system. Depending on the type of the machine, driving of shutters can be operated with the handle, key, remote control or switch. RELIABLE PROTECTION FROM BREAK-IN: the design of shutters, made of aluminum of high strength, prevents any entering from the outside. PROTECTION FROM EXTERNAL NOISE: thanks to its noise-reducing properties, the foam filler of aluminum profiles significantly reduces the level of background noise. 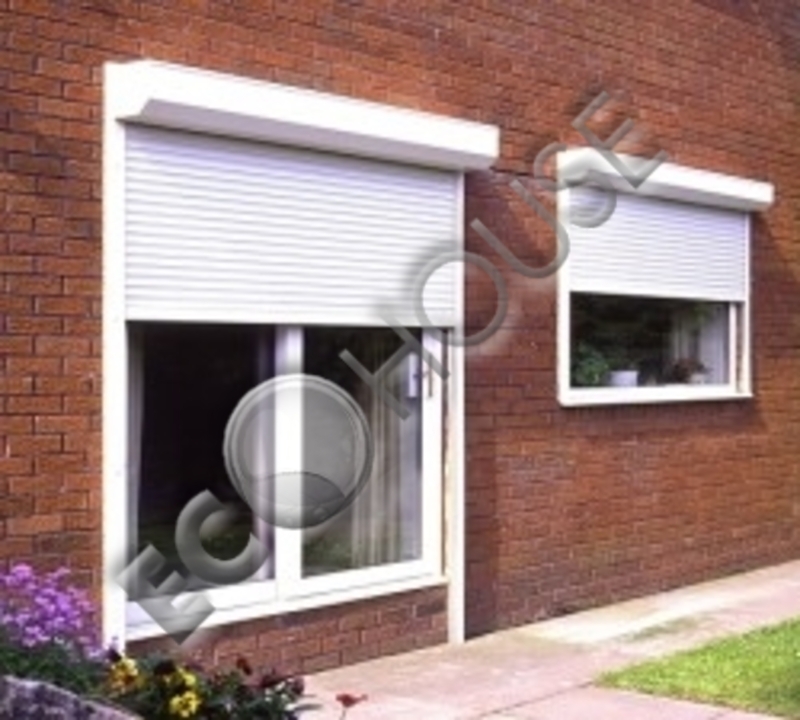 PROTECTION FROM RAIN AND SUN: Shutters provide effective protection against adverse weather conditions (snow, hail, rain, sudden gusts of wind) and from fading of the furniture under the sunlight. 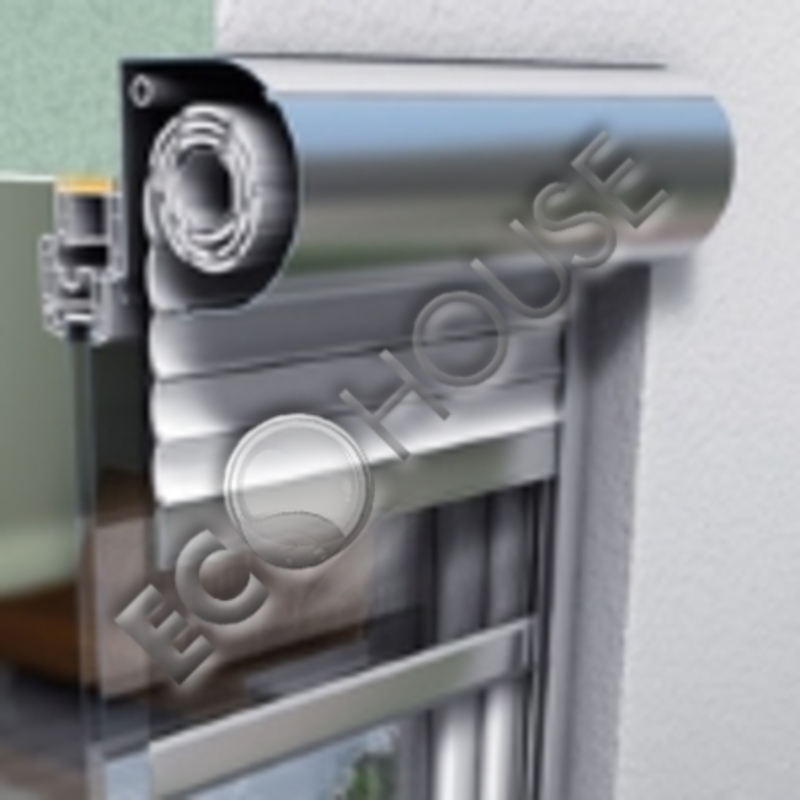 MONEY SAVING: Shutters are also effective energy-saving tool that helps maintain the optimum indoor temperature at any time of the year and to minimize the cost of heating and air conditioning. PROTECTION FROM PRYING EYES: shutters provide reliable protection of private life from the prying eyes of neighbors and passers-by. To make order for roller shutters or to deal with your request or to buy, please contact to local "Eco House" suppliers in your area: Alexandria, Port Said, Damietta, Suez, Ismailia, Sharm El Sheikh, El Gouna, Hurghada, Tanta, Mansoura, Safaga, Marsa Alam, Kena, Meet Ghamr, Kafr El Sheykh, Assiut.